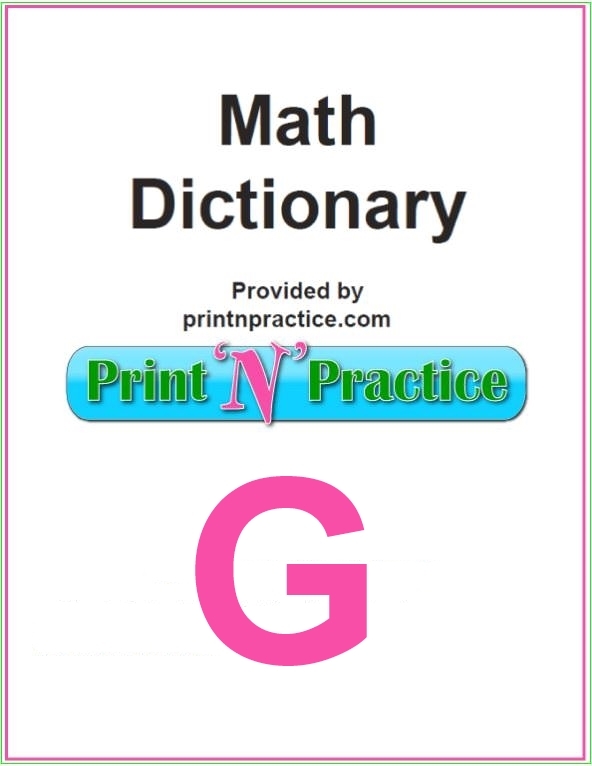 View the definitions below for Math words that start with G.
There are many prefixes and suffixes that can be used with words like gram, graph, and geo. 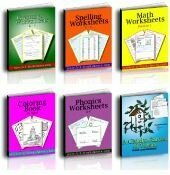 Your kids will get a lot more learning for your time spent teaching if you take some time teaching the affixes with normal Math words. Graph is an important word when studying Math vocabulary. Geo and graph are prefixes that apply to several Math terms on this page. 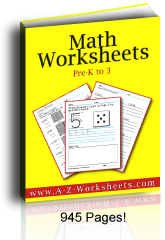 Math words that start with G: Great for Math games and definitions! Gaussian Curve - a normal curve. Generator - the bent line-segment or figure that replaces the initiator at each iteration of a fractal. Geoboard - a flat board into which nails have been driven in a regular rectangular pattern. These nails represent the lattice points in the plane. Geodesic - the arc on a surface of shortest length joining two given points. Geodesic Dome - a spherical structure made up of triangles. Geodesy - a branch of mathematics dealing with the shape, size, and curvature of the Earth. 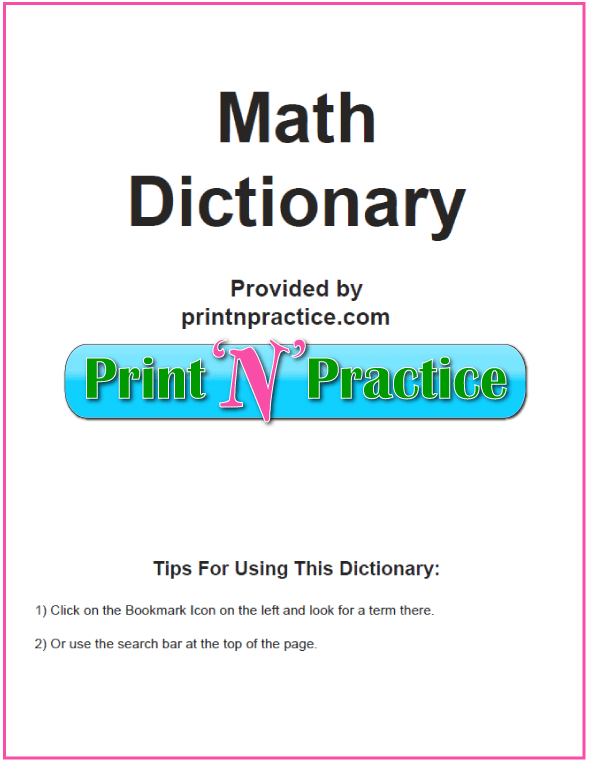 Geometric Mean - the geometric mean of n numbers is the nth root of the product of the numbers. Geometric Progression - a series of numbers which increase or decrease by a common multiplier. Geometric Sequence - a set where each element is a multiple of the previous element. Geometric Series - a series in which the ratio of each term to the preceding term is a given constant. Geometric Solid - the bounding surface of a 3-dimensional portion of space. Geometry - the branch of mathematics that deals with the nature of space and the size, shape, and other properties of figures as well as the transformations that preserve these properties. Gergonne Point - in a triangle, the lines from the vertices to the points of contact of the opposite sides with the inscribed circle meet in a point called the Gergonne point. Golden Rectangle - a rectangle whose sides are in the golden ratio. Graceful Graph - A graph is said to be graceful if you can number the n vertices with the integers from 1 to n and then label each edge with the difference between the numbers at the vertices, in such a way that each edge receives a different label. Gram - a unit of weight in the metric system. Graph - a graph is a set of points (called vertices) and a set of lines (called edges) joining these vertices. Graph - a visual representation of data that displays the relationship among variables, usually cast along x and y axes. See our printable graph paper here. Graph of the Function F - the set of all the points on the coordinate plane of the form (x, f(x)) with x in the domain of f.
Great Circle - a circle on the surface of a sphere whose center is the center of the sphere. Greater Than - having a larger value than. Greatest Common Divisor - the greatest common divisor of a sequence of integers, is the largest integer that divides each of them exactly. Greatest Common Factor - same as greatest common divisor. Greatest Lower Bound - the greatest lower bound of a set of real numbers, is the largest real number that is smaller than each of the numbers in the set.